CapSha v1.1 -- Play The Game of "Thirteen" With Your Friends! CapSha v1.1 is a freeware. 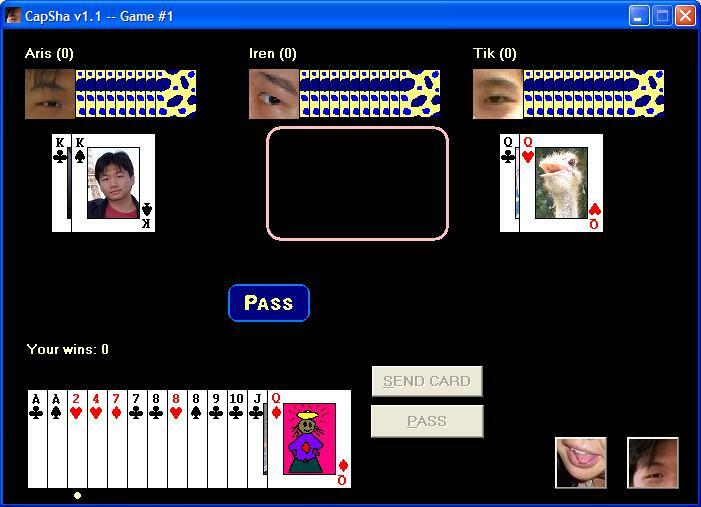 It is a multiplayer game that can be played in network using TCP/IP protocol. Number of players: 2 / 3 / 4. This program is created by Yoh Aris. Features, how-to-use, tips and tricks, etc. Do you like to have some penpals?